That’s something Yeung has said, in essence, hundreds of thousands of times to upwardly mobile Chinese. 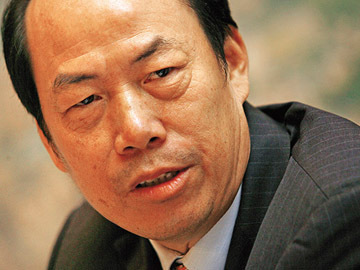 Yeung, 61, is founder and chairman of Country Garden Holdings, one of China’s largest residential-property developers. 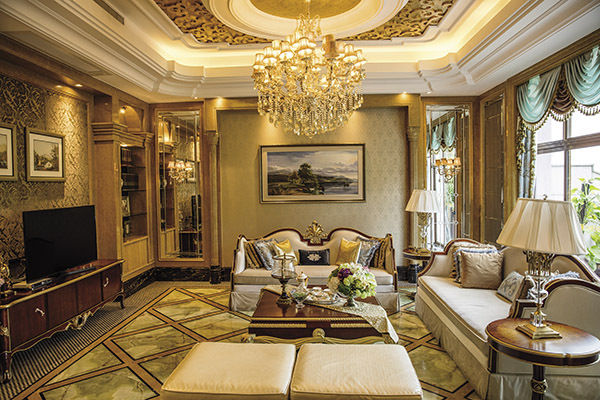 Since putting up its first apartments 24 years ago, Country Garden has undertaken more than 500 projects in over 300 cities and built housing for 3 million people. With an unusual strategy—offering luxury residences outside of major urban centres—his Hong Kong-listed company has thrived even through an up-and-down property market. Revenue has nearly tripled since 2012, to an expected $18.8 billion this year, while net profit will likely jump by nearly 40 percent over that same period, to a forecast $1.5 billion. That record puts Country Garden on our Fab 50 list this year for the second time. Such foresight has propelled Yeung’s rise from rags to riches—literally. Born in Foshan in Guangdong Province, Yeung spent his youth labouring on farms and, from the age of 10, taking part-time jobs on construction sites. He likes to remind people that he didn’t wear shoes until he was 18. The experience gave him a unique perspective on the property business. “I can still build a house with my bare hands,” he says, a boast probably few other corporate chairmen can make. His personal fortunes rose with China’s. In 1978, just as China was launching its capitalist economic reforms, Yeung left farming for good. He became a full-time worker for a local, state-owned construction outfit called Shunde Beijiao Development, where he rose quickly through the ranks. That company became the foundation of Country Garden. In 1993, the Foshan government decided to privatise it and offered to sell it to Yeung, allowing him to pay over five years. The company is still headquartered in Foshan, now in modern towers rising over manicured gardens. Yeung grasped at an early stage how the Chinese would be drawn to the joys of suburbia. 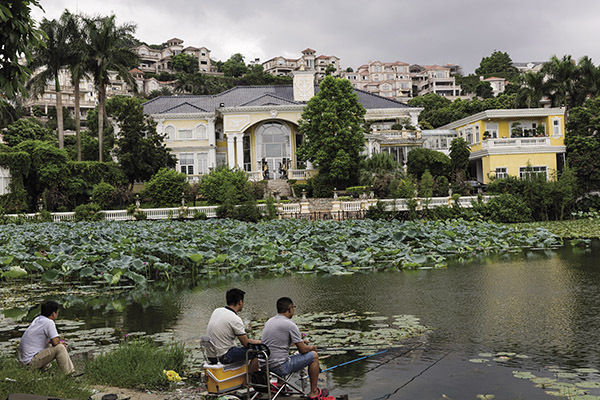 As families grew wealthier, he figured, they would seek out quality housing outside of the crush of China’s crowded, polluted cities in a quest for a more peaceful, comfortable lifestyle. He also calculated that building suburban housing made for a better business. With land prices much higher in the downtown areas of major cities, Country Garden could fatten its bottomline by developing less expensive plots on their outskirts. “If you’ve got cheap land and you put a lot of effort into building communities, provide value for money, that’s how you can make profit,” he says. Yeung didn’t learn his business strategy in school. Never having gone to college, he’s an avid reader who educated himself. Among his major influences is US founding father Benjamin Franklin. Reading his autobiography, he says, made him impressed with Franklin’s commitment to integrity and progress. “My takeaway was to do everything with a reason and to achieve the best outcome,” he says. Thanks to that bit of wisdom, Yeung’s shoeless days are a distant memory. He and his family are among China’s richest, commanding a fortune of $5 billion. As he chats on a sofa in his office, Yeung is waited on by two attendants, who stand reverently behind him and hand him notes and snacks. He declined to sit for a photo shoot for Forbes Asia. Staffers say Yeung is still intimately involved in the nitty-gritty of his property projects. “Work is happiness,” he says. But he also has done some succession planning. In an unusual move for a Chinese tycoon, he transferred nearly all his shares in Country Garden 11 years ago to his daughter, Yang Huiyan, an Ohio State University graduate who serves as vice chairman. He says Yang, 34, oversees all aspects of the family businesses outside of the property developments, which include an extensive education operation that manages more than 50 private schools. The company Yang inherits might look quite different from what it is today. Though Country Garden’s strategy of building in smaller cities and suburban areas has served it well, the company has also missed out on some significant growth. In Shanghai, Beijing and other major urban centres, demand for new housing is almost always strong and prices tend to be higher. As a consequence, prices in China’s top-tier cities were 31 percent higher in June than a year earlier. Outside of these metropolises there remains a large number of unsold apartments, left over from the country’s latest investment boom, which is suppressing property values. Yeung is trying to capture some of that growth by developing more projects in China’s biggest cities, including Shanghai and Guangzhou. Last month, Yeung announced he would also invest $15 billion in ten “Tech Town” developments around major cities that would mix Country Garden housing with office parks for startup companies. With Chinese families continuing to get wealthier, their appetite for new and better-quality housing will also increase. Fitch, in a study last month, forecast that to meet demand, China will require an additional 800 million square metres of residential property—equivalent to the size of Singapore—each year to 2030. Still, Yeung isn’t entrusting his company’s future entirely to China. He senses that there is a limit to how much property he can sell in smaller Chinese towns, while undertaking projects in big cities is expensive. That’s encouraged him to look outside the country. Country Garden’s first overseas project was a housing complex in Malaysia in 2011, but that wasn’t nearly as bold as its current undertaking, Forest City, which broke ground in 2013. The project, jointly developed with a company controlled by the Sultan of Johor, the Malaysian state where the project is located, is being built near Malaysia’s border with Singapore to lure wealthy investors from both countries. To be environmentally friendly, all cars and trucks are being confined to underground passageways, while the buildings will be saturated with green plants. Yeung is also eyeing Indonesia and Vietnam. “A good company should be welcomed by the world,” he says.